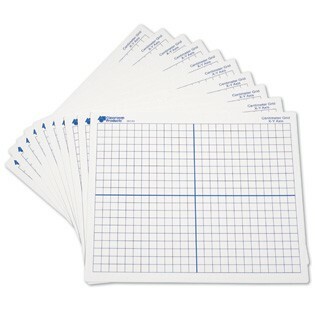 These economical double-sided plastic coated 9" x 11" mats have a 1 cm grid with x-y axis bolded for easy graphing activities. The opposite side of the mat is blank, and both sides can be used with dry or wet erase markers. Ages 6-18. From Learning Resources.